All inclusive yacht charter charters explained. All Inclusive Charter Rates - All With Full Crew. Constant pampering and private luxury are indeed elements of the ideal vacation - but how do we arrive at the cost? Many charter yachts have a base charter fee and list other expenses additionally. However, certain types of charter yachts in key locations offer "all inclusive" pricing, which essentially gives clients a fixed price charter vacation with all costs established prior to departure. 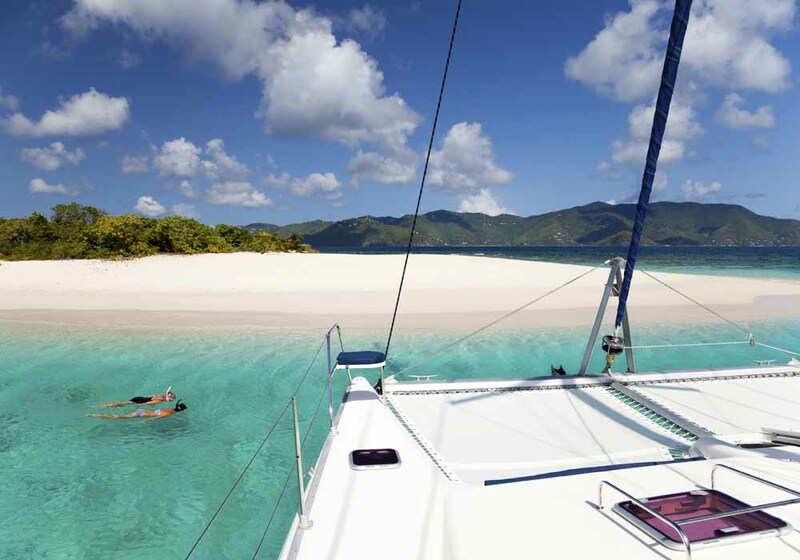 Charter yachts offering all inclusive prices are mainly crewed catamarans and smaller sailing yachts in the Caribbean and BVI's. 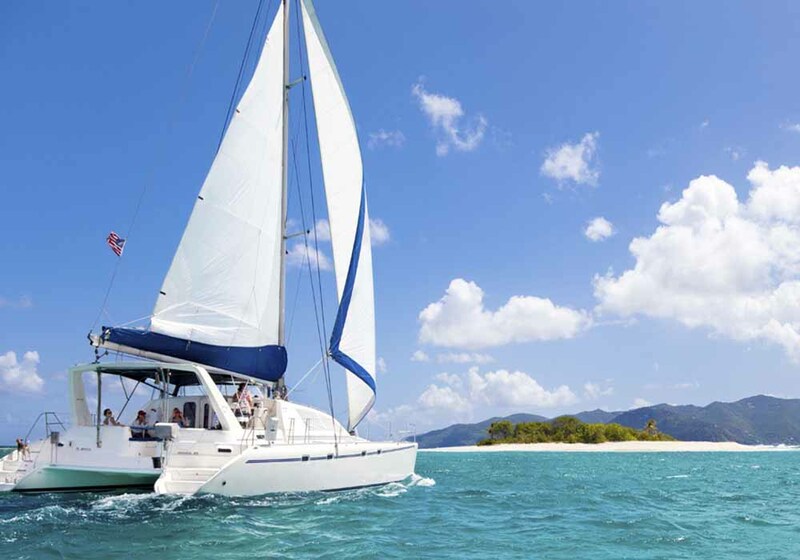 All inclusive rates in the BVI's are particularly common because there are many sailing and crewed catamaran choices available coupled with a known smaller cruising ground which gives the owner the ability to predict costs. Some eastern Mediterranean charter yachts will offer a form of all inclusive where fuel for up to four hours a day may be included or a half or full board pre paid cost per person like a resort is an option. All inclusive pricing is typically not available on larger mega yachts nor on the majority of motor yachts. This is simply because the potential expenses incurred by their guests (e.g. amount of fuel) are just too diverse to predict. There are also occasional offers for specific dates or locations where other kinds of yachts have special pricing. Winter can be a good time to ask your charter specialist about such deals. What Does "All Inclusive" Price Mean? Your all inclusive charter rate on a crewed catamaran or sailing yacht, at minimum, also will include a Captain and one additional crew member who prepares all the meals, provides personal cabin service, and helps arrange activities. The trip will be provisioned based on your preferences, including soft drinks, wine, food, etc. So, the all inclusive fee will include your food, drink, and most likely a standard "ship's bar". Even the smallest yachts manage to surprise our clients with what is provided. In the Caribbean and BVI's particularly, most evenings will be spent at anchor and it is likely that guests will incur no other charges beyond the all inclusive rate they paid and a crew gratuity. The all inclusive price quoted for a charter includes most everything that is consumed on board including food, fuel, and drinks. The prices are typically based on the number of guests on board, that's simply because the more guests, the more is consumed. However, specific yachts can have a few exclusions that could incur extra charges, and our charter specialist will note them for you. These charges will be unique to each yacht and may include things such as satellite phone usage, communication costs for computers, dockage or mooring fees, cost of scuba diving, minor cruising taxes, exclusive menu items, premium level wines, or spirits beyond what is usually stocked. There are also a few all inclusive rates that include all costs except for the cost of alcoholic drinks. Historically even with such occasional exclusions, except where the "bar" is extra, we find clients rarely incur extra expenses beyond the base all inclusive yacht charter fee. There will be no surprises, as any exclusion will be stated in your yacht charter contract. This is a basic definition; exact details for a given yacht will be explained by our charter specialist and stated in your yacht charter contract which is the definitive source for such particulars. Given the all inclusive pricing of such charters, guests may find that once all meals and drinks and other expenses are calculated for in a bareboat charter, an all inclusive priced crewed yacht charter is quite similar in overall cost. Of course there is also the added value that no one has to shop for provisions, cook, clean up, or watch the anchor at night. Your crew is there for you to make sure you achieve your ideal vacation. If you want to partake in the sailing of the yacht, your captain will likely welcome the help, but of course the safety of the yacht and its guests is his responsibility so the level of participation will be up to his discretion. Should you have a particular request such as learning to sail or standing watch at the helm, just let our charter specialist know and they can use that information to help guide you to the ideal yacht charter. A yacht rental and a yacht charter are typically the very same thing so don't be confused by the two terms. Sometimes the word rental may be referring to renting a boat or yacht for a few hours and a charter for a longer duration. No need to worry about the distinction with our specialists. Contact us about an all inclusive rate and we will help you choose your charter yacht with a fantastic itinerary. It's clear that our clients have amazing vacations and that their expectations aboard all inclusive charters are typically exceeded. We are happy to list some of their charter reviews here.